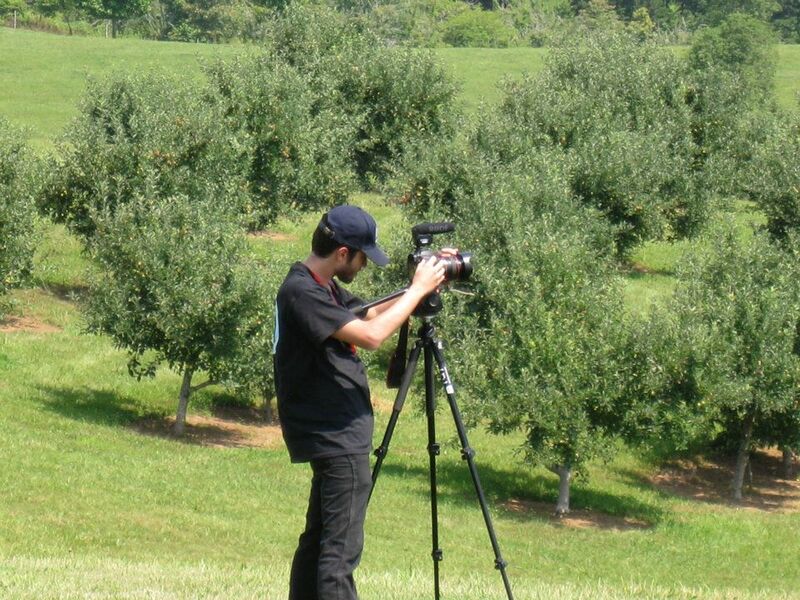 DP Jon Silva sets up a shot. 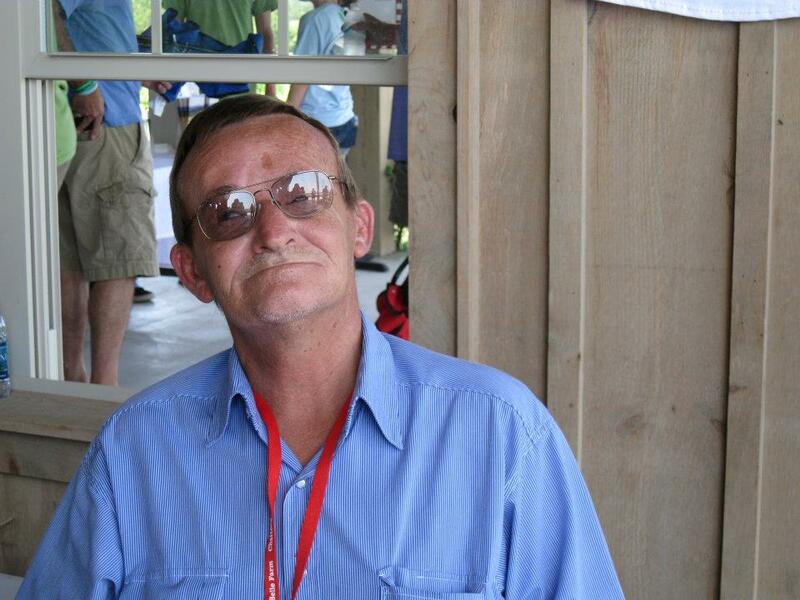 Billy Redden, known for his role as the 'Banjo Boy', is a local celebrity in Rabun County. Producer Cory Welles and I were given a great opportunity to speak about our film with Matt Holzman at KCRW. 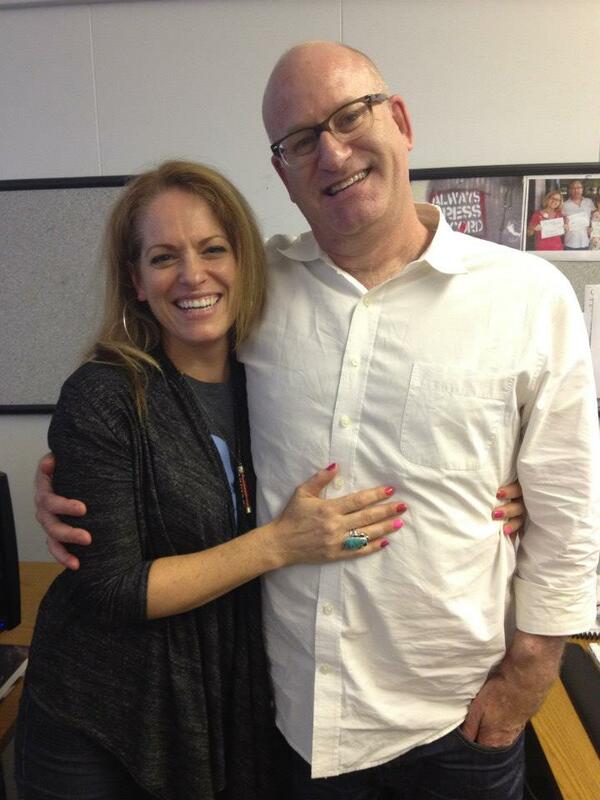 Cory Welles with Matt Holzman after the KCRW interview. 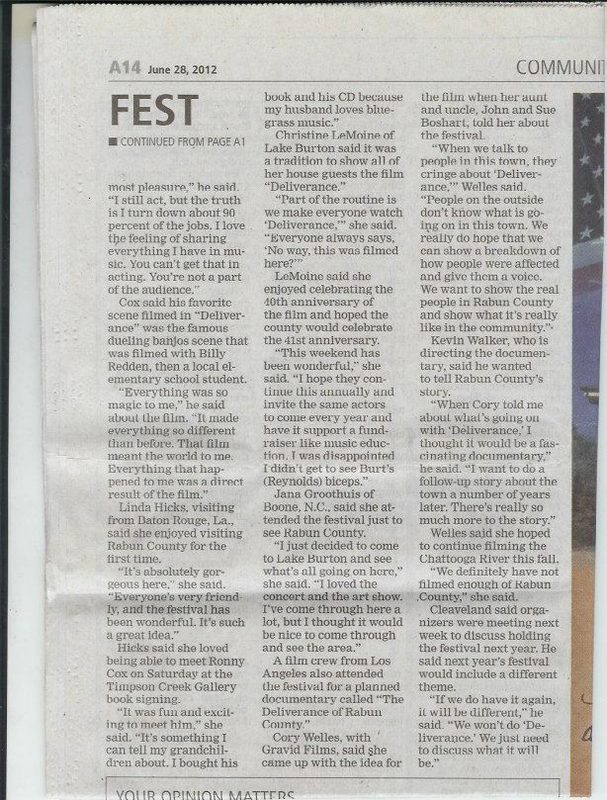 The Clayton Tribune wrote an article about the festival in which we're mentioned. Page one. The Clayton Tribune - page two. 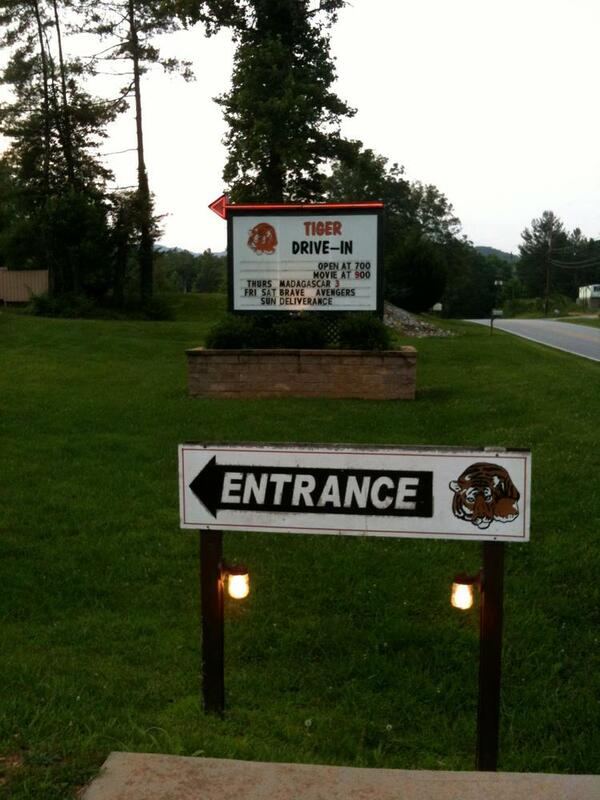 The Tiger Drive-in had a special screening of Deliverance. One of the last true drive-in theaters.